I’ll be adding links to this if I can from the train, otherwise google the references to find the lists!!! 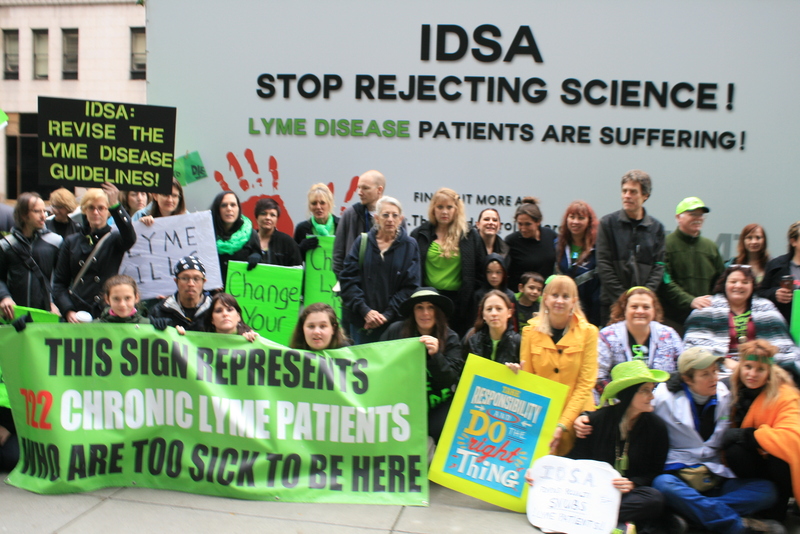 We are asking that IDSA use and acknowledge current and available science and to CHANGE GUIDELINES for lyme disease diagnosis and treatment. You can help by asking for coverage of the vigil and protest, October 9 and 10. There are very specific or more general ways you can help. For more information on the event, start with The MayDay Project’s press release and the event’s facebook page. The MayDay project is asking that people share the event press release and request coverage for the event. They have distributed a phone call list, a tweet list, and a facebook list. You can do all three or whichever is most comfortable for you (or that you have access to). By no means an all inclusive list and not intended to be thorough. But these are the things I’m thinking of/concerned about as I fly the last leg of my route from Montana to Philadelphia. 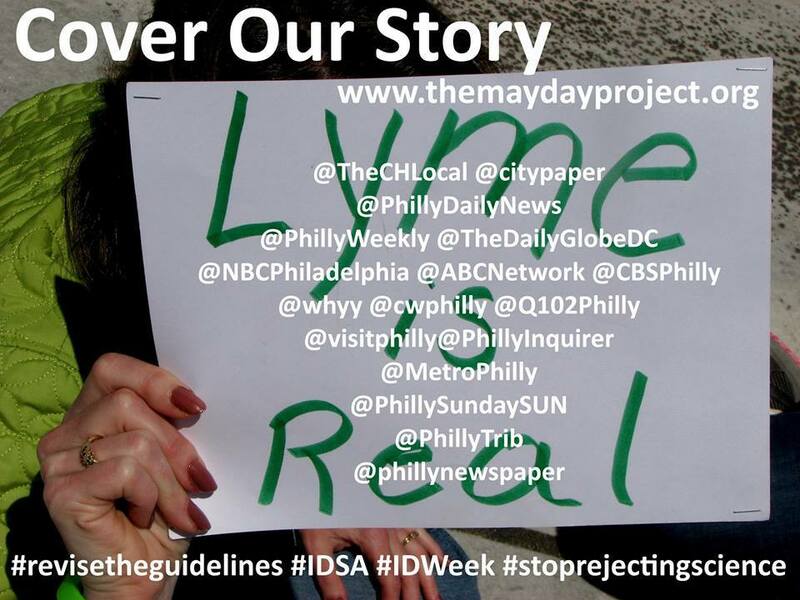 IDSA’s guidelines fail to acknowledge 30 years of lyme disease research. Misdiagnosis, delayed care, and persistent infection all directly result from IDSA’s guidelines (together or separately, but each is a dangerous problem). If it isn’t IDSA’s job to consider best available science, they should not be involved in managing this illness. If it isn’t the CDC’s job to ensure best available current science is used, then a different agency needs to step in and take over before it is too late for more patients. IDSA’s guidelines preclude diagnosis and treatment in my state. IDSA’s guidelines misdirect doctors to erroneously apply reporting criteria as diagnostic criteria. These guidelines may work for some patients who are diagnosed and treated immediately, but they keep most patients from being diagnosed and do not apply to patients who are treated later. They preclude treatment for patients with persistent lyme. If you don’t treat it, Lyme will persist. If you ignore co-infections, Lyme will persist. If you misdiagnose it, it will persist. If you misinform doctors and state agencies, it will persist. If you rely on IDSA’s guidelines, it will persist. And then: Also follow @themdayproject on twitter and retweet everything they tweet and retweet! Storm via social media.